Yet another competitor of the iRobot Roomba has appeared, this time in the UK. 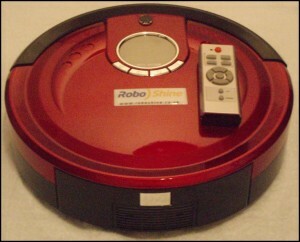 This one is named the Robo Shine Turbo RX1. It would appear to have similar specs like the other robot vacuums we’ve discussed recently. It also has a UV light to kill bacteria on your floor, which seems to me like the most useless feature in the world. As you can see from the list, it also has a mop, remote control, virtual wall, and a side brush. The price is about US $300. I think that I’ll stick with an iRobot Roomba, still, thanks. A company known more for its computers, ASUS, has decided to come out with their own rival to the iRobot Roomba. It will be named the ECleaner, and will be sold in Taiwan and China. 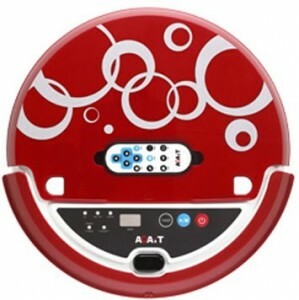 It is expected to sell for about half as much as most Roombas (about US $150). 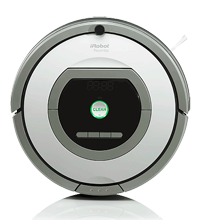 The list of features very strongly resembles the 500 Series Roomba. It comes with a home base for charging, a bumper on the front, and a side brush. This robot vacuum cleaner will also come with a UV light for disinfection (which in my opinion is a waste of time and energy) and a slot for adding fragrances so that the vacuum spreads them around the room, which also sounds kind of hokey. On the plus side, the robot vacuum comes with a remote control, which is kind of a useless thing on automatic vacuum cleaners, but that I like because they’re fun. On the minus side, the ECleaner will be taller than an iRobot Roomba. While the difference is about an inch, a Roomba is normally about three inches tall, so the difference is really quite large. Battery life is expected to be and hour and a half, which is comparable to Roombas with an APS battery. Also like the Roomba vacuum, the ASUS cleans more randomly using “behaviors” like running in spirals, wall-following, and going back and forth, depending on its mood.